This is a personal blog. 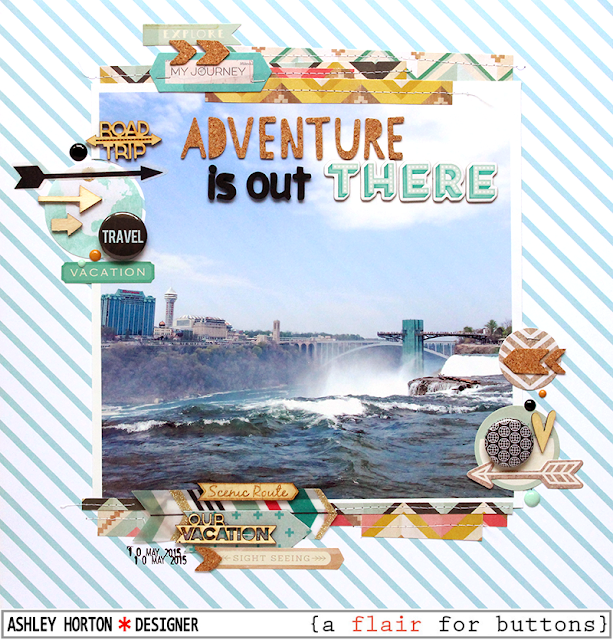 All editorial content and projects are intellectual property of ashleyhortondesigns.com. I do receive financial compensation and material product from American Crafts to develop my craft posts, but all ideas and opinions are my own. As well as product compensation from A Flair for Buttons. I am up on the A Flair for Buttons Blog today, sharing a new layout! I am typically a small photo kind of scrapper, and usually keep my photo size around 3 inches. 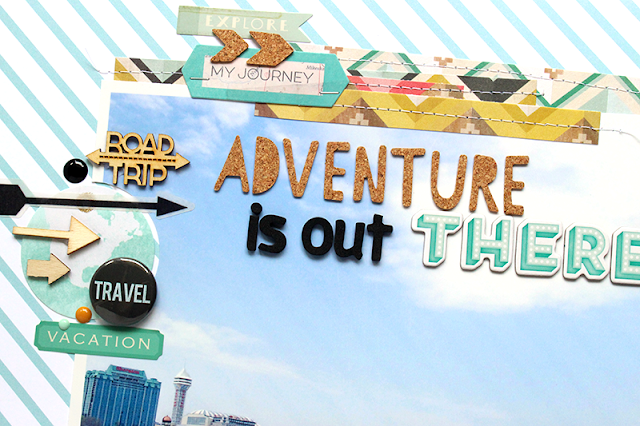 But I thought it would be fun to do a little something different on today's layout and GO BIG! I decided to print an 8x8 photo and layer my title over the photo, and create embellishment clusters on the sides of the photo, mixing in some Flair Buttons from the Around the World 2 Flair set. I wanted to add the Flair Buttons on opposite sides of the photo, so I created two embellishment clusters. To add contrast to the cluster, I mixed in wood veneers, stickers and enamel dots with the Flair Buttons. I love to have different textures on my layouts, so this is a fun way to mix in several types of embellishments. Make sure you visit the A Flair for Buttons Shop to check out the Around the World 2 Flair, and all of the other fun travel sets in the Shop! 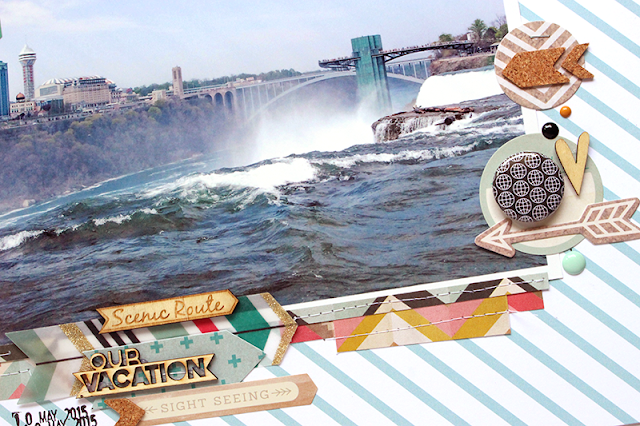 You'll definitely have fun using the Flair to create eye-catching clusters on your next layout!